Photos courtesy of the Office of Councilmember Dee Andrews. 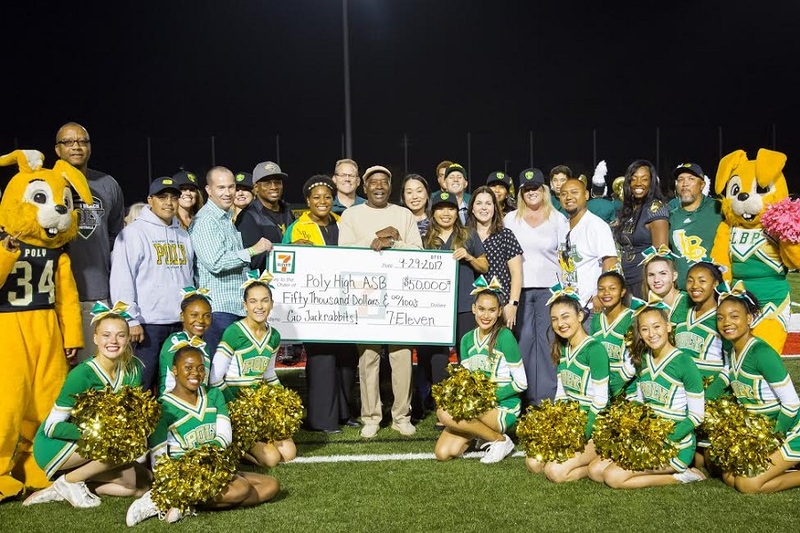 Long Beach Poly High School received a $50,000 donation from 7-Eleven Friday night as a gesture of support for the midtown community, it was announced. The check was presented during the halftime show at the football game versus Wilson High School at Veteran’s Stadium. A new 7-Eleven is expected to open in Long Beach’s midtown area, and has committed to hiring residents, as well as providing healthy food options and convenience for the community.